The local streetwear retail chain, 77th Street will be ending its operations after 28 years on 23 July 2016. 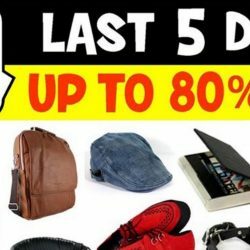 Head down to grab their products at up to 80% OFF! 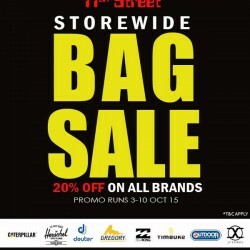 Week Long STOREWIDE BAG SALE on all International and In-house brands! Enjoy 20% off on all brands. 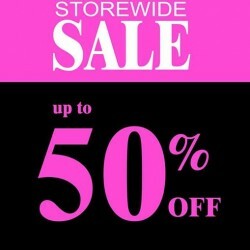 Enjoy and get up to 50% off storewide only at ION Orchard Relocation sale so hurry grab more today! Updates this week from 77th Street! Get 20% OFF on all T.U.K. Footwear! Available @ 77th Street Bugis Junction & Ion Orchard. 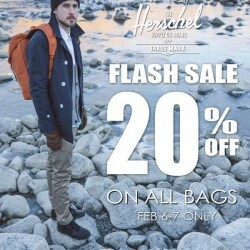 77th Street brings you a Flash Sale with 20% off on All Bags from Feb 6-7 only. This week's update! 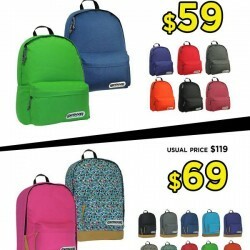 77th Street brings you Herschel Bags New Colors and More Promos! Enjoy! Updates this week: URBAN TOOL SALE Up to 30% Off!! & New T.U.K. Shoes! 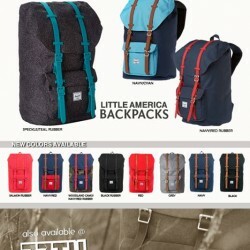 This week's special from 77th Street: Outdoor Backpack Special and New Arrival Bags from Herschel and Gregory!